Develop students' interest about bugs by collecting, displaying and identifying them. Prepare a large shallow box for the display. Either have one box per student, small group or whole classroom. Ask students to collect (preferably already dead) bugs from the school grounds, classroom floor, corridors, playground areas, at home, hothouses etc. Label each bug properly using a field guide to identify them. Safety is always a priority. Ensure students understand the dangers of looking for bugs under rocks and in dark corners. Discuss insect and spider bites before collecting bugs. 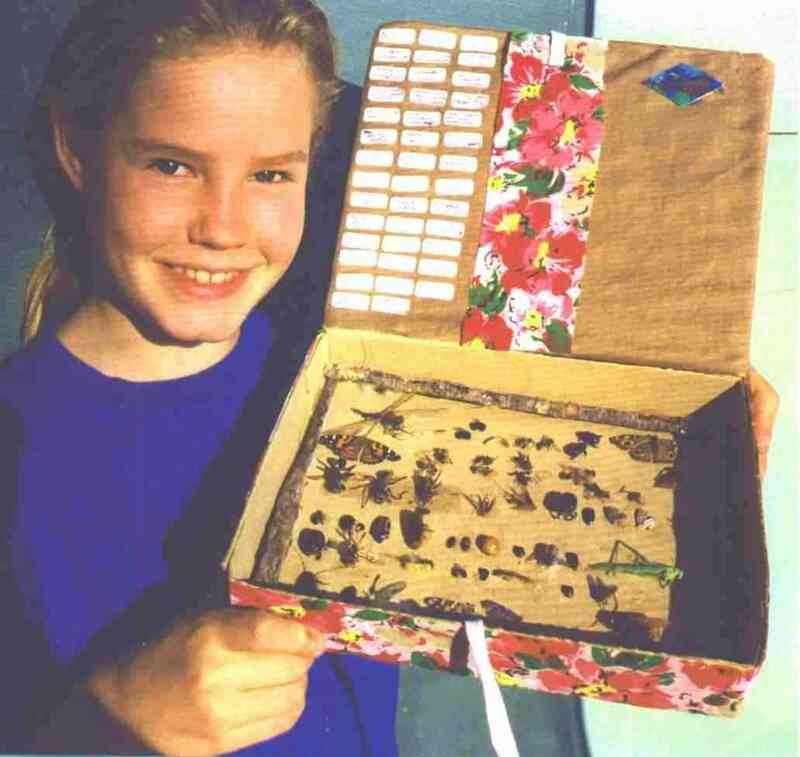 Secondary student Deborah from Western Australia with her bug display.